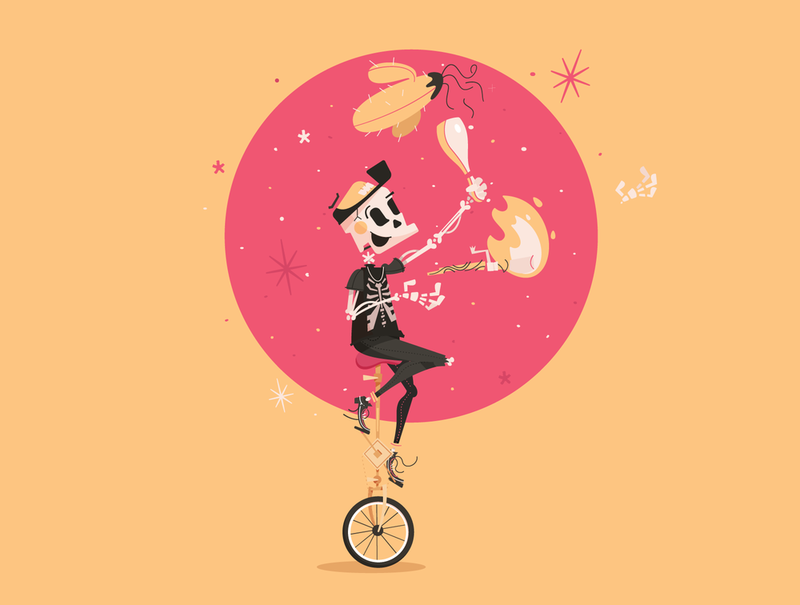 Skullboy unicycling, all weird like he does. 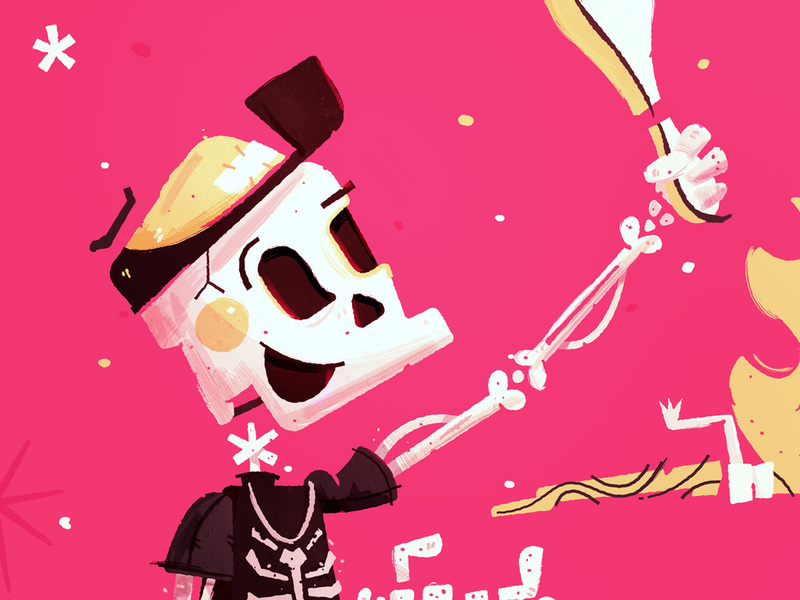 A collaboration between Latham Arnott and I to bring this lovely skeletal character to life. Sküllboy is 50% partner here at BoneHaüs and he's a blast to have around! He's got a knack for alternative sports (pogoing, skateboarding, unicycling, table hockey, mini golf) and seems to pick things up quickly. Here he is juggling a cactus, torch, and a bowling pin. Forever. I originally created this version of skully to help further his identity at Bonehaus. Basically, the further I develop this character and the things he does, the things he wears, how he behaves, moves, sounds etc the further along I develop the studio. 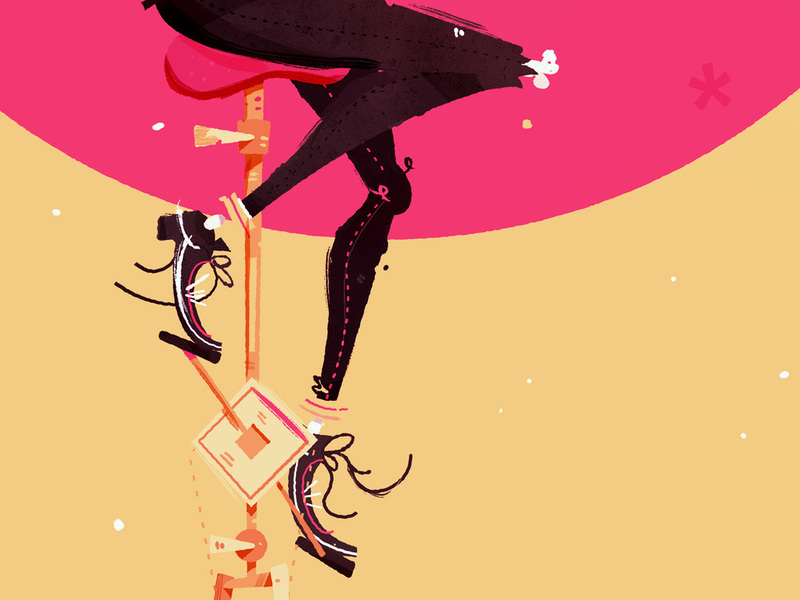 Doing these sort of things inspire me to keep making personal work as well as inform the work I want to do. I think that part of the litmus test to a good character design is if you can hand it off to other people with some general outlines and have it improve a tenfold. In this case, I was able to give one pose to Latham for animation and he took it to a whole different level. He remarked multiple times how easy it was to work with such a fun character, and the way he moves etc is very obvious. The motion almost writes itself just by glancing at him. Furthermore, having Jeff bring the sound out of him with the weird spooky but cute and fun but also totally creepy sounds was like, exactly what I had in mind but hadn't described that to him. He plucked it exact.